Mike Ginter is AOPA’s Vice President of Airports and State Advocacy, responsible for advancing General Aviation-friendly legislation in all 50 States and promoting, protecting and preserving America’s airports. He manages a team of 8 Regional Managers and almost 2000 AOPA Airport Support Network volunteers. Mike earned his pilot’s license as a senior in High School and has been an active GA pilot for 40 years. He graduated from Embry-Riddle Aeronautical University in Daytona Beach and then served 27 years flying in the Navy, retiring as a Captain. He completed 4 combat deployments to the Persian Gulf and accumulated over 3000 hours and 550 carrier landings flying the S-3 Viking. 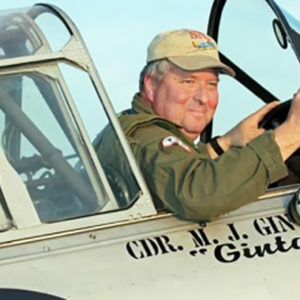 Mike is no stranger to NWOC – he is an active T-6 pilot, Formation Check Pilot, member of the CAF, and recently served as President of North American Trainer Association (NATA).